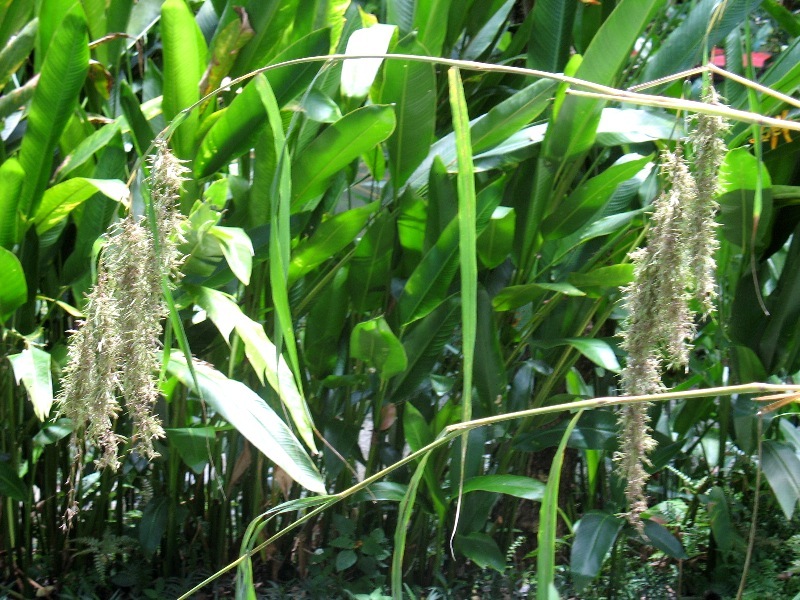 And did you know that cardamom comes from a plant that is related to the ginger? 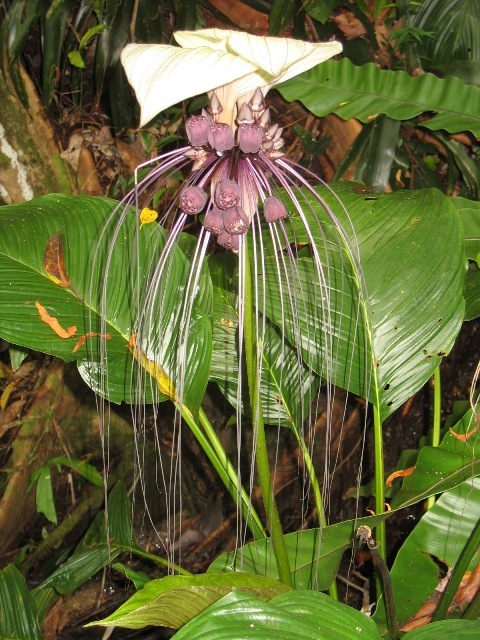 The cardamoms are the seed pods that are formed after the plant has flowered. I was fascinated – so fascinated that I forgot to take a picture. My mother came across a plant that is sold in her local market and it turned out to be these wild pepper leaves. They are such a lush deep green. I can understand why our ancestors were tempted to try them out. I think she is going to be buying some soon. Did you also know that citronella, the popular insect repellant, is related to the lemongrass that is used so much in Thai and asian cooking? They had the two side by side. The citronella plant is much more robust – taller leaves and thicker stalks and have these plume like flower stalks shown above. 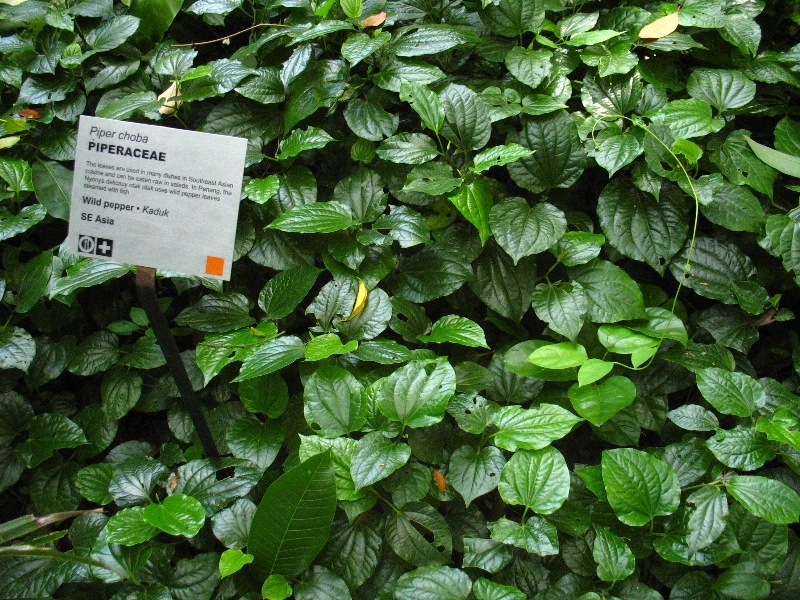 The spice garden also has an ornamental component to it and I came across some gorgeous plants and flowers. These were in the pond at the beginning of the walk. 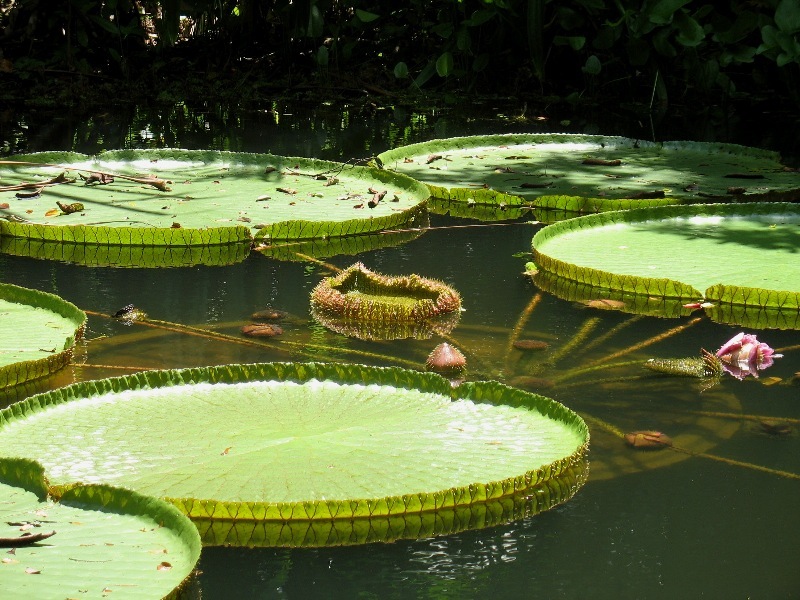 They are a variety of water lily which has huge leaves. These are quite small. I have seen pictures of leaves that are large enough to support the weight of a small child. I have no idea what these are but I was reminded again of how nature creates some wonderful forms and structures. 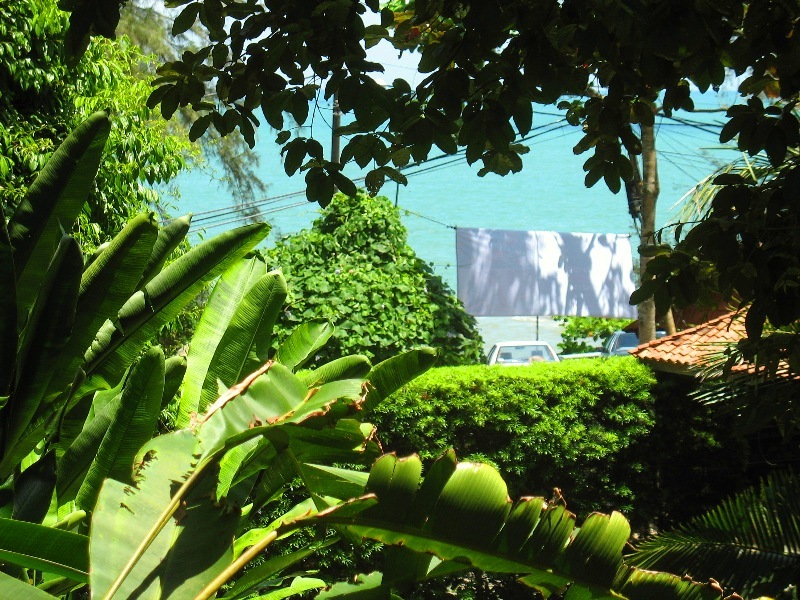 The Penang Spice Garden is located right next to the sea and you can get glimpses of the ocean as you walk the paths. The visit had me thinking about natural remedies. Modern medicine is either unaware of these plants or tries to package the healing and medicinal properties into easy to take capsules or tablets. I somehow think we would be better of just adding these herbs and spices to our diet. I also hope the knowledge of how much we should take, preparation and frequency hasn’t been lost and there are still people out there to share this information with me. 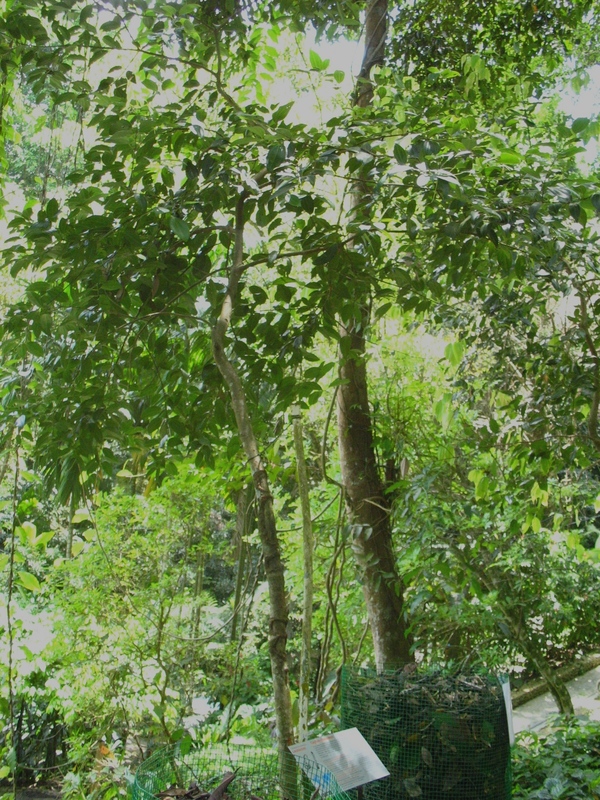 If you are ever in that part of the world, the Penang Spice Garden is worth a visit.